Nothing beats a good ole hot dog off the grill. And there’s no need to just heap on the mustard or relish and call it done. You can throw just about anything that’s in your fridge on a dog (including mayo!). These Memphis-Style BBQ hot dogs have that great down-south flavor from smoky bacon and barbecue sauce, topped with gooey cheese, and kicked up with green onions and jalapeno slices. I used a spicy BBQ sauce (Weber’s Kick’N Spicy) on these Memphis-style BBQ hot dogs. You can go with sweet or smoky, or whatever suits your fancy. Also try my crazy-good muffuletta dogs. Wrap the hot dogs in the bacon and grill over medium heat, turning often, until done. Top the buns with the dogs. Add the BBQ sauce, green onion, jalapenos (if using) and cheese. Enjoy! 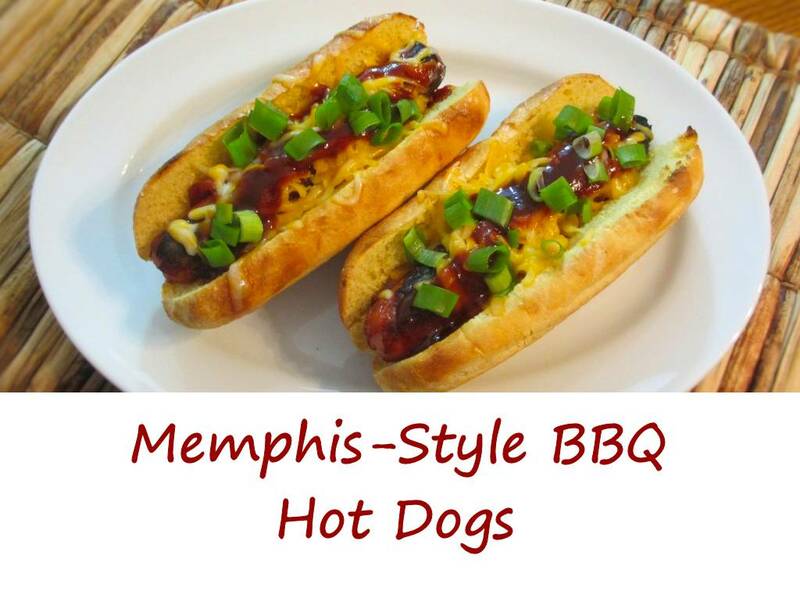 This entry was posted in Hot Dogs and tagged hot dog, memphis, Memphis-Style BBQ Hot Dogs, recipe by Mike. Bookmark the permalink.